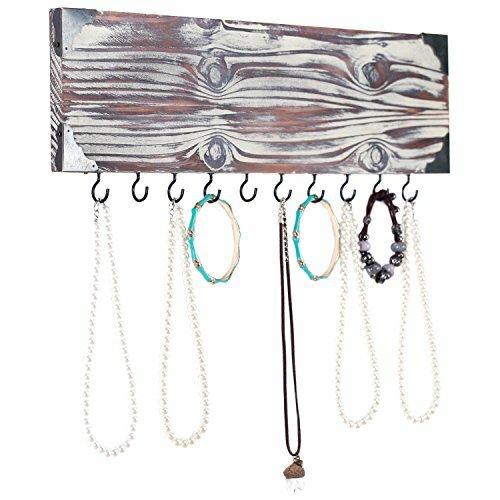 A lovely and unique piece of craftsmanship, this enticing and rustic-like jewelry wall holder will prove to be very useful whenever you need to keep your items of jewelry in a safe and steady place! It has been made out of resistant fabric and it is white and light brown colored. 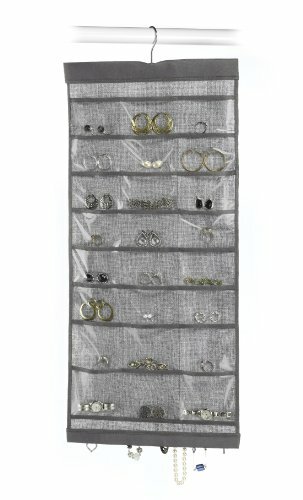 All of its pockets are see through, thus enabling you to keep them on display on all times for whoever visits you! It can be readily put up against a door or the wall. The product doesn’t require and assembly and it is also very easy to clean it, as you only need to wipe it with a damp cloth from time to time. 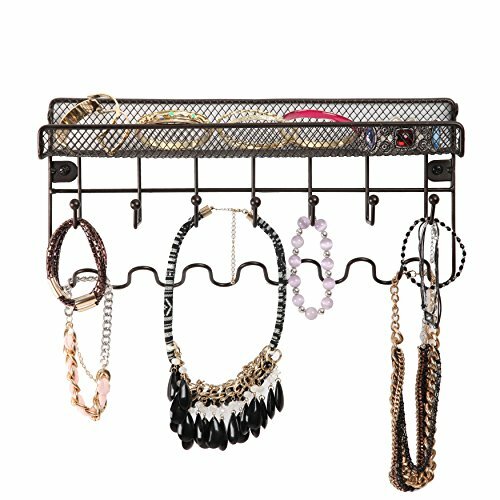 The jewelry wall hanger is divided into, three types of differently sized see through pockets. 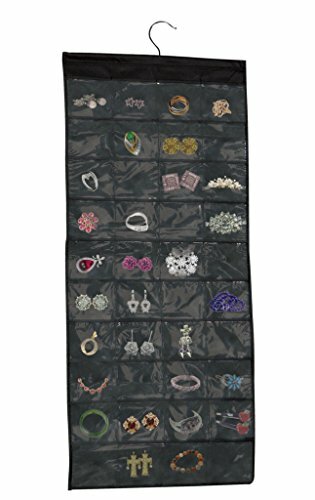 Per total, there are no less than 50 pockets, a rather significant number that will allow you to store your entire collection of jewelry in there and much more! 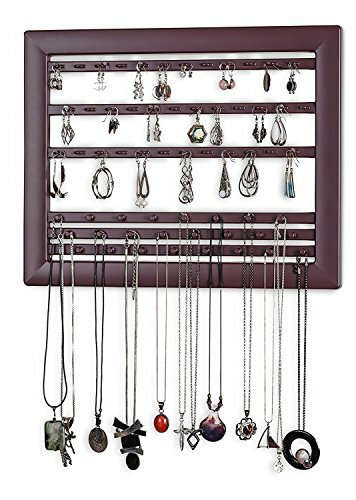 The smaller compartments are more fit for your earrings, rings and brooches, the medium sized ones for your bracelets and the larger ones are perfect for your necklaces! Therefore, this product is more than perfect for your use as it will be able to keep your valued possessions safe and sound! 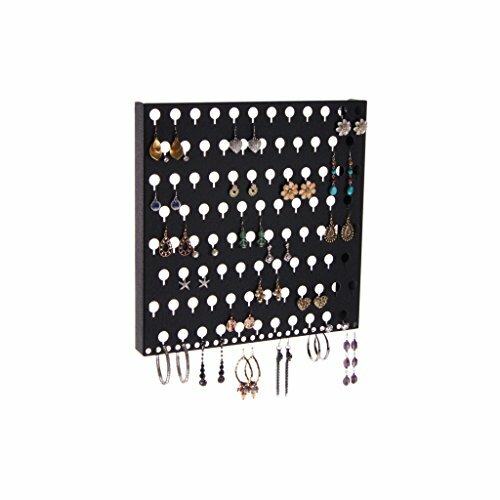 Be it for your own use or meant as a gift for another lover of jewelry, this wall organizer is definitely going to prove very efficient and convenient! The measurements of this product are the following: 4.4 x 4.4 x 11.5 inches and its weight is 2.2 pounds.